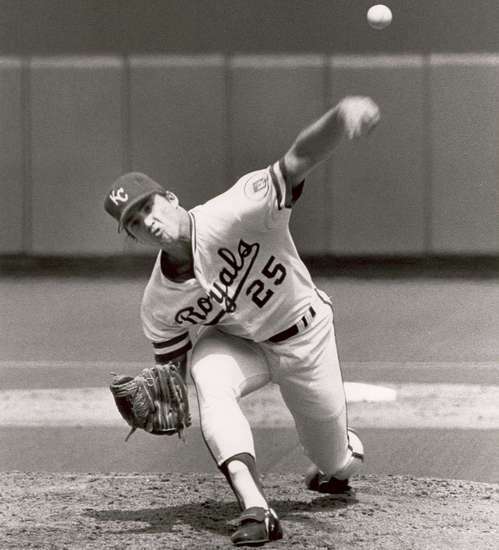 On Thursday, October 24 the Royals just wanted to stay alive in Game Five of the series when they sent left-hander Danny Jackson to the mound and just as he had in the fifth game of the ALCS he was brilliant (Same pitcher; nearly same result). Lonnie Smith and Willie Wilson both singled to start the game. George Brett advanced Smith with fly ball out and Frank White drove him in with a ground ball. The Royals got the jump early. But the Cardinals came right back in the bottom of the inning with a run on back-to-back two out doubles from Tommy Herr and Jack Clark to tie the game. It was the Cardinals first and last run of the contest. The Royals put three runs on the board in the second, highlighted by a two-out, two run triple off the bat of Willie Wilson and Danny Jackson did the rest. The Royals won 6-1 with Jackson again going the distance with a complete game five-hitter and the long planned downtown parade in St. Louis instead turned into a parade back up I-70 for Game Six. Sure enough. That’s our George.